The practice of ‘intermittent fasting’ has become very popular in recent times, as it helps people live a long and healthy life. In simple terms, intermittent fasting is a popular method to restrict calorie intake to help you lose weight, which in turn will ward off several diseases and help you live a longer and healthier life. Intermittent fasting is an umbrella term that covers different types of fasting schedules where calorie intake is restricted in whole or in part, either a couple of days a week, every other day or on a daily basis. 16/8 Method: In this method, you skip breakfast and restrict the daily eating period to 8 hours. Then, fast for 16 hours. Eat-Stop-Eat: This method involves fasting for 24 hours, once or twice a week. 5:2 Diet: In this method, you eat only 500 to 600 calories on 2 non-consecutive days of the week. On the other 5 days, you eat normally. Note: Fasting may not be suitable for pregnant and breastfeeding women. Plus, people suffering from diabetes or other chronic diseases should consult their doctor before starting any type of fasting. Many people take up intermittent fasting as means to extend their lifespan. A 2000 study published in Mechanisms of Ageing and Development analyzed the influence of short-term, repeated fasting on the longevity of female mice. The results showed that fasting mice survived significantly longer than the full-fed mice. Another study published in 2014 in Cell Metabolism, researchers reviewed several studies and concluded that intermittent or periodic fasting in rodents protects against diabetes, cancers, heart disease and neurodegeneration. In humans, this type of fasting was found to help reduce obesity, hypertension, asthma and rheumatoid arthritis. Thus, it can be concluded that intermittent fasting has the potential to improve health and reduce the risk of chronic diseases, which in turn can extend one’s life. In this type of fasting, you eat fewer meals, which means you end up eating fewer calories. 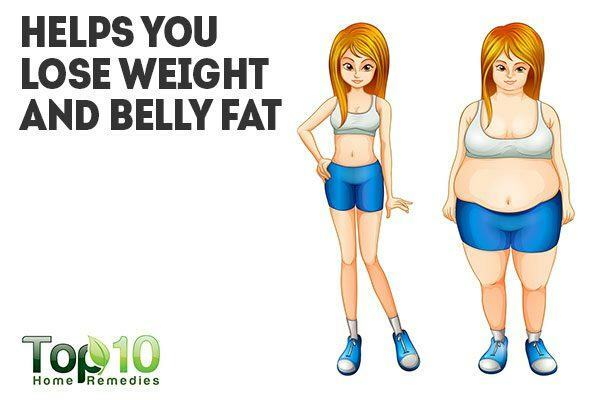 Additionally, it will increase your metabolic rate, which helps you burn even more calories. Intermittent fasting can lead to loss of belly fat, the harmful fat in the abdominal cavity that is a risk factor for many diseases, such as diabetes, high cholesterol and heart problems. A 2011 study published in Obesity Reviews reports that intermittent fasting caused less muscle loss as compared to continuous calorie restriction. This type of fasting is effective in decreasing body weight and fat mass. A later 2015 study published in the International Journal of Obesity reports that intermittent fasting or alternate-day fasting may be an option for achieving weight loss and maintenance. However, such interventions need to be palatable and satiating and meet minimal nutritional requirements to ensure long-term safety. Intermittent fasting helps reduce the risk of cardiovascular problems. It helps improve the various risk factors that contribute to heart disease as it helps lower blood pressure, total and (LDL or the ‘bad’ cholesterol), and blood sugar levels. 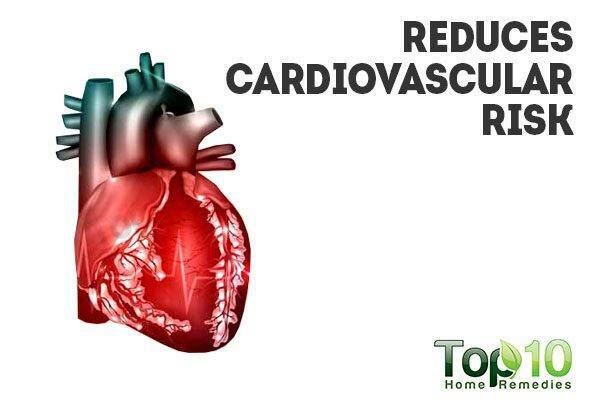 It also helps reduce inflammatory markers of cardiovascular disease. A 2014 study published in the International Journal of Health Sciences notes that intermittent fasting can have cardiprotective effects. Plus, intermittent fasting helps restrict calories and reduce abdominal fat, which is linked to higher risk of developing heart disease. Intermittent fasting also aids important cellular repair processes, such as removing waste material from cells. Healthy cells are important to live a healthy life, but cells can become damaged due to oxidative stress. 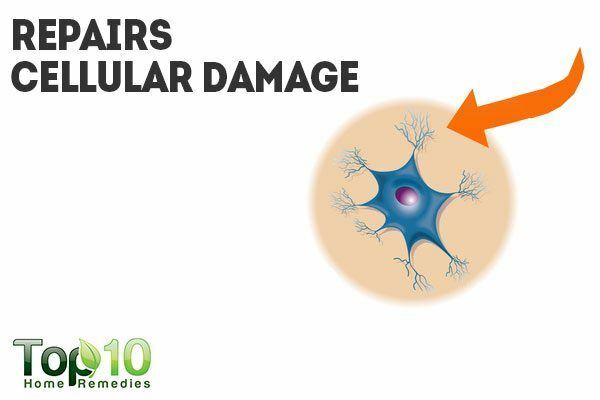 This can accelerate the aging process and cause many health problems. 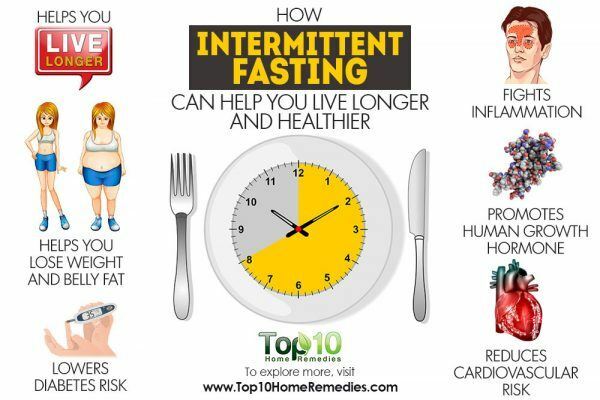 Intermittent fasting is a safe way to prevent or repair cell damage from oxidative stress. Fasting results in a small increase in free-radical production early on during fasting. The cells respond by increasing their levels of natural antioxidants to fight against future free-radical damage. This triggers cells to cope better with more severe oxidative stresses in the future. This type of fasting even helps you live a longer life by changing gene expression. A 2006 study published in Ageing Research Reviews reports that calorie restriction through intermittent fasting stimulates the production of protein chaperones, neurotrophic factors and antioxidant enzymes, all of which help cells cope with stress and resist disease. Another study published in 2010 in Autophagy reports that short-term fasting represents a simple, safe and inexpensive means to promote potentially therapeutic neuronal response. 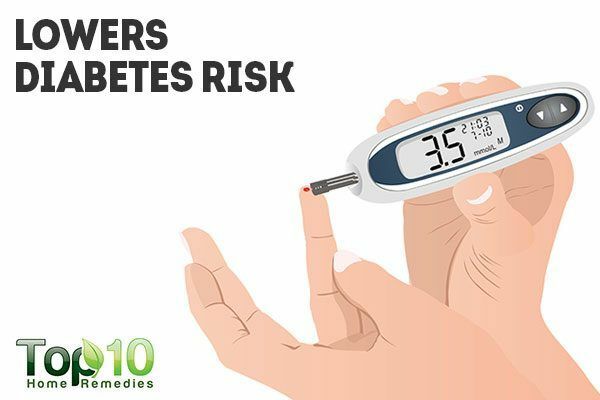 Diabetes is one of today’s most common disorders that people are working hard to prevent. Uncontrolled high blood sugar level is a serious matter that can affect many organs of the body, including the eyes, heart, kidneys and so on. Intermittent fasting can help reduce insulin resistance, thereby lowering blood sugar levels and reducing the risk of diabetes. A 2007 study published in FEBS Letters suggests that intermittent fasting significantly improves biochemical parameters associated with the development of diabetes. A 2014 study published in Translational Research reports that intermittent fasting can cause weight loss and Type 2 diabetes risk reduction in overweight and obese populations. However, more research is required before solid conclusions can be reached. 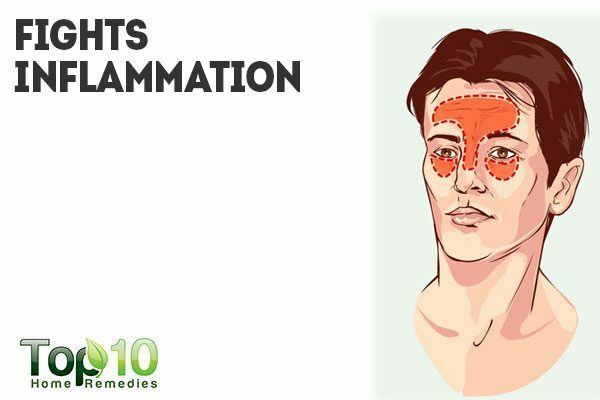 Inflammation is an immune response that helps remove harmful stimuli, including damaged cells, irritants or pathogens. But when inflammation gets out of control, it can lead to many health problems, including asthma, sinusitis, atherosclerosis, celiac disease, hay fever, inflammatory bowel disease, ulcerative colitis, rheumatoid arthritis, interstitial cystitis and even cancer. To control inflammation in your body, intermittent fasting is very helpful. A 2007 study published in Free Radical Biology & Medicine reports that alternate-day calorie restriction improves clinical findings and reduces markers of oxidative stress and inflammation in overweight adults with moderate asthma. This study suggests that intermittent fasting is a novel approach for therapeutic intervention in the treatment of asthma. 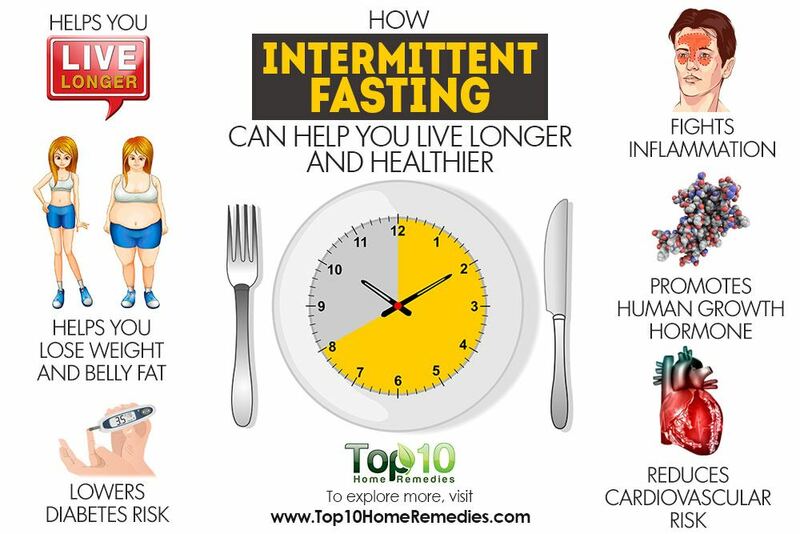 Another study published in 2007 in the Annals of Nutrition and Metabolism reports that prolonged intermittent fasting in a model like Ramadan has some positive effects on the inflammatory status of the body and on the risk factors for cardiovascular conditions, such as homocysteine, C-reactive protein and the ratio of total cholesterol to high-density lipoproteins (HDL or the ‘good’ cholesterol). Another study published in Nutrition Research in 2012 reports that intermittent fasting during Ramadan attenuates pro-inflammatory cytokines and immune cells in healthy subjects. Ramadan is a religious month during which Muslims do not eat or drink during the daylight hours. Intermittent fasting also promotes the body’s production of human growth hormone (HGH). HGH is naturally produced in the pituitary gland. The hormone plays an important role in cell regeneration, growth and maintaining healthy tissue in the brain and other vital organs. 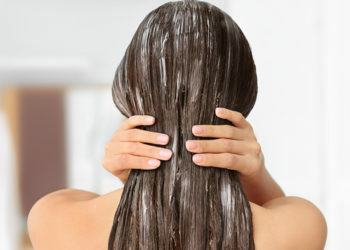 HGH also makes your hair and nails grow faster. 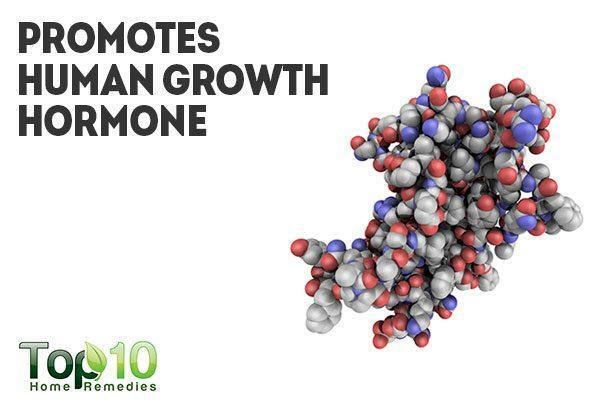 In fact, reduced secretion of the growth hormone is responsible for thinning of the skin that occurs in old age. A 1988 study published in the Journal of Clinical Investigation reports that fasting enhances growth hormone secretion and amplifies the complex rhythms of growth hormone secretion in men. A 2011 study by cardiac researchers at the Intermountain Medical Center Heart Institute reports that routine, periodic fasting is good for your health and your heart. It can reduce cardiac risk factors, such as triglycerides, weight and blood sugar levels. The study also confirms that fasting has a positive effect on HGH. During the 24-hour fasting periods, HGH increased an average of 1,300 percent in women and nearly 2,000 percent in men.